To more directly align Institute research with health systems and providers that are proactively moving away from the Medicare fee-for-service (FFS) payment model, in 2018, the Institute formed collaborations with six Accountable Care Organizations (ACOs), five hospital-based and one physician-owned. Recognizing that the most expensive care provided for these organizations is associated with unplanned acute care needs, the LAN was formed to develop sustainable innovations designed to effectively anticipate and respond to preparing for serving the acute care needs of older adults. The ACOs participating in the Institute’s LAN represent adopters of the most aggressive dual-sided risk model–known as Next Generation ACOs. Serving the Medicare population, these ACOs are contractually-bound to write checks back to Medicare if they fail to directly save Medicare dollars, compared to baselines and risk scores directly derived from the fee-for-service (FFS) historical cost basis. As such, the Institute’s LAN is now directly engaged with systems that are willing to accept true financial risk and responsibility for shedding the legacy of traditional FFS Medicare. 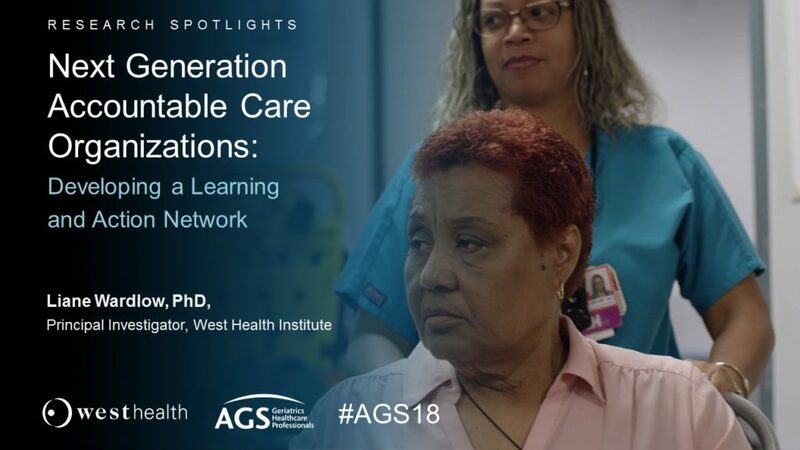 Focusing on unplanned acute events, four of the LAN’s ACOs developed models to provide home-based acute care in the home, while two others focused on innovative efforts in the ED and skilled nursing facilities (SNF). Consistent with the focus on costly acute episodes of care, all six ACOs pursued care delivery innovations designed to avoid hospitalizations and future ED visits in their populations of focus. To accelerate the effort, the Institute also engaged with the IHI, an independent not-for-profit organization widely recognized as a leading innovator and results-oriented driver of implementation science in healthcare delivery systems around the world. In 2019, the Institute anticipates expanding the LAN as we are growing an organization’s ability to provide better care at a lower cost. Specifically, with ongoing engagement from the IHI, the Institute is expanding the LAN and the collaboration with IHI to include up to 12 organizations. The focus is for these organizations to deliver sustainable, value-based care through innovations in both the preparation and response to unplanned acute events, ultimately reducing hospitalizations, ED visits and enabling seniors to remain in their chosen homes and community settings. To support nationwide adoption and spread of these innovations, learnings, outcomes and best practices derived from both the 2018 LAN and the expanded 2019 LAN will be actively developed and shared with the broader community. Specifically, through these collaborations, change management toolkits will be developed and shared with the members of the IHI, the National Association of ACOs, CMS, the Center for Medicare & Medicaid Innovations (CMMI) and others through workshops, webinars, and research publications.